It’s the end of Summer going into Autumn and each morning feels a little cooler and fresher than the last and as the seasons change so do our morning rituals change and the first jobs of the day are to re-light the fire in the hearth, put on a pot of coffee, sweep the leaves from the doorway and settle into the day at a nice easy pace. Autumn and winter galvanise the sense of community about our mornings, there seems to be a steady flow of familiar faces and each day someone new too. 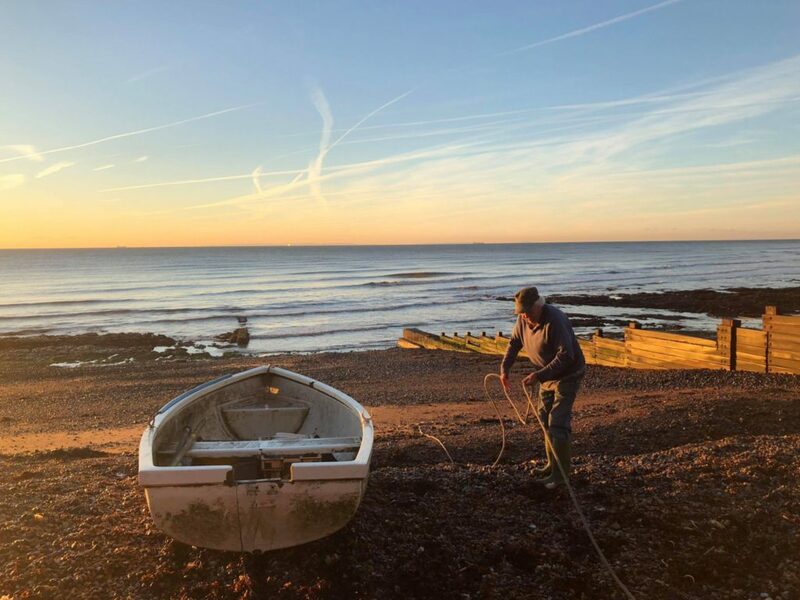 Conversations over breakfast revolve around journeys into the Continent, working days at the port, Channel crossings (by boat, under the tunnel or even swims) or days out in the countryside or surrounding towns. There’s a feeling of living and experiencing life together with other people. It’s nigh impossible to feel lonely here in the mornings. Some days you’ll see Tony the local window cleaner and his lad George pop in for a quick cuppa on the school run. Tony will regale you stories of his Channel swimming exploits or life treading the boards as a St. Margaret’s ‘Am-Dram’ Player. Other days the old man (ex-Michelin star chef Chris Oakley) will drop in with a delivery of preserves or chutneys knocked-up in the old manor house kitchens of Wallett’s Court up the road. He’ll sit and put the world to rights over a coffee before rushing off to get on with his busy day now that he’s retired from the restaurant game!